Iran plans to take new measures to revive its passenger car exports, to contribute to its auto industry, which is growing, following the removal of international sanctions. 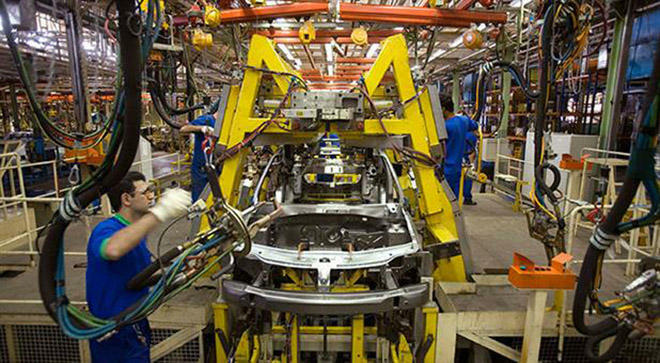 Iran’s car export registered a record high in fiscal year to March 2011 and stood at 81,596, however the figure sharply fell in next year (fiscal year to March 2012) and accounted to 38,258 due to intensified international sanctions which targeted the country’s auto manufacturing industry. The export even decreased to 10,000 in the fiscal year to March 2014, but revived again following the removal of the international sanctions against Iran’s car industry in 2015. Iranian automakers exported 27,000 cars in the fiscal year to March 2015, but they failed to revive the exports to the pre-sanctions period. Iran’s second largest auto manufacturer Saipa announced that it has re-launched an assembly line in Syria, which was closed in recent years due to ongoing crisis in the Middle Eastern Country. SAIPA opened a car production line in Syria’s Hasya district, 150 km north of Damascus, in 2007. In last 10 years, the Arab country’s auto market shared nearly half of the Iranian car maker’s international sales. Saipa Deputy CEO for Exports Mohsen Javan said Dec. 19 that the car-making group, has resumed auto manufacturing in Syria to produce cars based on the X200(such as Tiba and Saina) and X100 (includes different models of Pride and Ario) platforms. Javan said that Iran exported over 250,000 cars to 40 countries in the past 10 years, of that 100,000 were sold in Syrian market. Javan further said that the car-making group is going to dispatch 1500 vehicles to Lebanon for the first year based on an agreement between the two sides, 400 of which have been sent so far. Saipa has established its biggest Middle East office in Beirut for constructive marketing and exporting goods, Javan added. Saipa’s new car model, ‘Quick’, would be exported to Lebanon as well, he said. Javan also said that the Iranian car-maker has a "detailed plan" for presence in African auto market, adding that a production plant will be launched in Algeria in the near future, which is planed to play an important role in supplying Saipa products to the countries in north of Africa. SAIPA earlier said that it plans to export 34,000 vehicles approximately valued $200 million and auto parts worth $20 million, in the current fiscal (started in March). The company exported auto parts worth $10 million in the last fiscal year. Iranian automakers exported 10,000 cars in last fiscal year (ended March 20, 2017), which was 59 percent less compared to the 24,500 cars in the preceding year. Meanwhile, Mojtaba Khosrotaj, head of Iran's Trade Promotion Organization (TPO) announced Sept. 24 that Iran’s passenger car export has decreased by 26 percent in terms of value and 25 percent in terms of volume, respectively in current fiscal year. Khosrotaj refused to unveil the exact value and number of the exported cars, but the last year’s auto export statistics indicates that the country’s car export is not that great.